In August 2004, a day-long symposium organized by Bentley College was held in Boston to address the question, “Does Marketing Need Reform?” Speakers were asked to address how the marketing function can simultaneously bolster trust with customers and respect within organizations. The event featured 17 speakers and drew approximately 125 attendees. 1 Judging by the response, it appears that this topic hit a hot button for many in the discipline. In this brief essay, we highlight some of the perspectives that were suggested at the symposium. The actual presentations can be viewed online at www.bentley.edu/events/ markreform/, and we are publishing a book of essays on the theme (Sheth and Sisodia 2006). A moral dilemma. Phil Kotler noted that marketing’s fundamental dilemma stems from two of marketing’s central axioms: First, give customers what they want, and do not judge what they want. Customers often want products that are not good for them (e.g., tobacco, high calorie fast foods, sweets, alcoholic drinks). Second, many products may be acceptable to the customer but are harmful to society (e.g., asbestos, lead paint, guns, gas-guzzling automobiles). The central thesis of Johny Johannson’s (2004) recent book is that marketing has become “morally corrupt” and has helped reduce the American way of life to its lowest common denominator while contributing to a rising tide of anti-American sentiment around the world. He suggests that marketing promotes many dangerous and unhealthy products using “preposterous and phony” arguments. Advertising is ubiquitous across old and new media, and there is increasingly nowhere for customers to hide (Johannson 2004). The image of marketing, far from strong to begin with, has taken a beating in recent years. J. Walker Smith presented results from a recent Yankelovich survey that found that 60% of consumers claimed that their opinion of marketing and advertising has become much worse over the past few years and that marketing and advertising is “out of control.” On the basis of a study of the image of marketing using approximately 1000 consumers, Raj Sisodia reported that approximately 62% of the respondents had a negative attitude toward marketing, and only 10% had a positive attitude (Sheth, Sisodia, and Barbulescu 2006). On the positive side, marketing is often associated with creativity, fun, humorous advertising, and attractive people, but most people (including most business students) associate negative words, such as “lies,” “deception,” “deceitful,” “annoying,” and “manipulating,” with marketing. It could be argued that marketing academics and practitioners alike are suffering from “marketer myopia”; that is, they are so focused on what they do that they fail to notice significant changes in the environment around them. Summarizing his recent book, Jerry Wind suggested that new mental models are necessary to guide the thinking of marketing executives, practitioners, scholars, and journal editors (Wind, Crook, and Gunther 2004). He questioned whether the narrow and deep focus in academic marketing research and modeling is of value to business executives. Wind also criticized the prevailing marketing mind-set that largely ignores the 86% of the world living outside developed countries, most with per capita incomes below $1,000 per year. Kay Lemon identified three key ways that marketers are myopic and thus fail. First, most marketers fail to take a long-term view. Their typical focus is on short-term gains: improve sales this month, stock price this quarter, market share this week, shelf space compared with competitors. This short-term perspective leads to angry and irate consumers, proliferation of “me too” products (because they are less risky), proliferation of “me too” research (because it is easier to publish), greater resistance to marketing, consumer confusion, and the threat of additional governmental intervention and regulation. 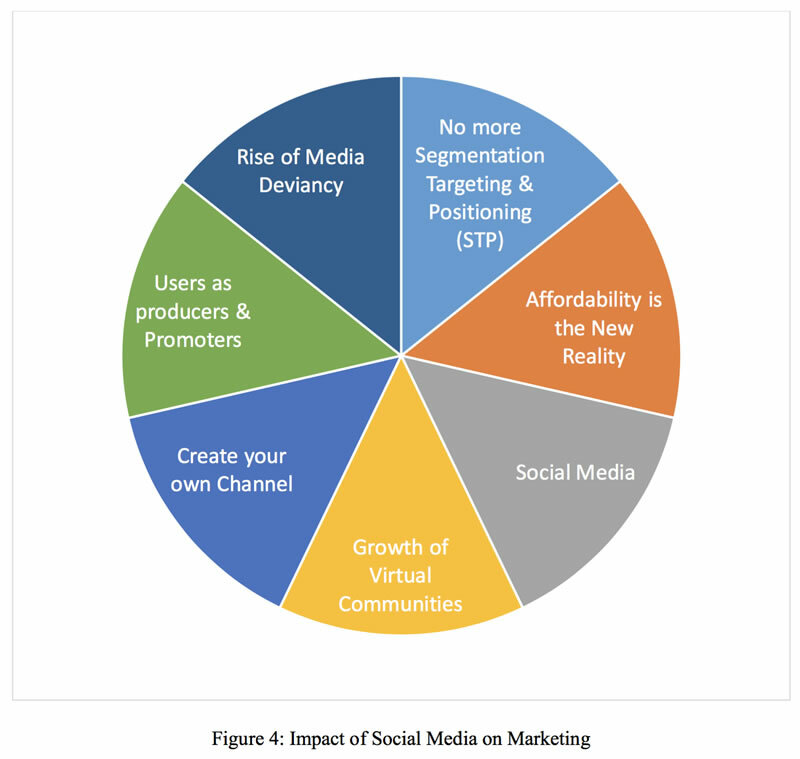 Second, marketers often fail to consider all relevant constituencies. Although many do a good job of considering current customers, they fail to consider the effect of marketing on those not directly in the tar-get market. Third, marketers fail to appreciate their own strength and power. Marketing is infusing and transforming cultures around the world. Marketers must be mindful of how powerful their tools are and understand their short- and long-term effects on consumers. Marketing academics must teach students how to use that power responsibly. Demographic denial. Peter Drucker (1999) has identified the worldwide decline in birth rates as the number one issue that society faces today. David Wolfe highlighted two demographic trends. First, marketing has yet to come to terms with the reality that the majority of adults in the marketplace today are older than 40 years of age. By 2010, annual spending in the United States by households that are headed by people under the age of 45 is projected to be $1.62 trillion, compared with $2.63 trillion by those 45 years of age and older; that is a trillion dollar difference. Yet most marketing remains resolutely youth fixated. Wolfe suggested that marketers need to understand developmental psychology to appreciate how customers evolve continuously over their life spans. Second, around midlife, women begin to outnumber men quite significantly. However, most marketing today remains aggressively masculine in character and fails to speak effectively to women or aging men. The fundamental value of a marketing mind-set is not in question. As Rajiv Grover put it, “If marketing is defined as satisfying the expressed and latent needs of customers, it is well accepted out there, so marketing is not really being marginalized. But marketers are being marginalized, in the sense that many strategically important aspects of marketing (e.g., pricing, ad budgeting, new product decisions) are being taken away by other functions in the organization.” Fred Webster noted that marketing management was once considered destined to assume ultimate influence and control over the U.S. corporation and become the dominant function (Keith 1960). With few exceptions, this has not happened. A key problem is that most marketing managers are not finance literate and have trouble answering questions about the productivity of expenditures. Equally important, other managers are usually not marketing literate. 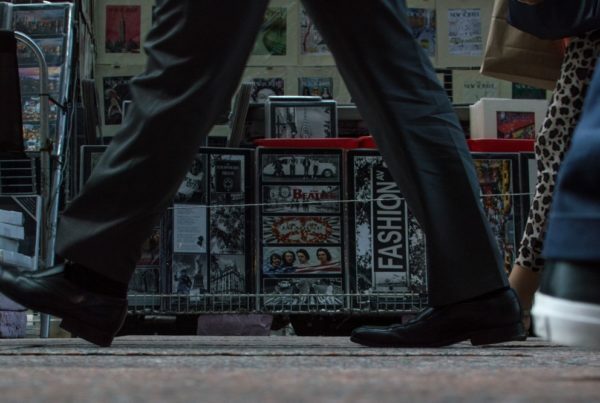 Raj Srivastava suggested that marketing does a poor job of communicating the value it creates because marketers do not speak the “financial language.” There is little appreciation for the balance sheet power of brands. Marketing is considered a variable cost, not a committed cost, so its budget is considered “soft money” that can readily be cut. Marketers are hard-pressed to justify their budget requests because they command little trust within most organizations. Use technology to enhance mutual value. 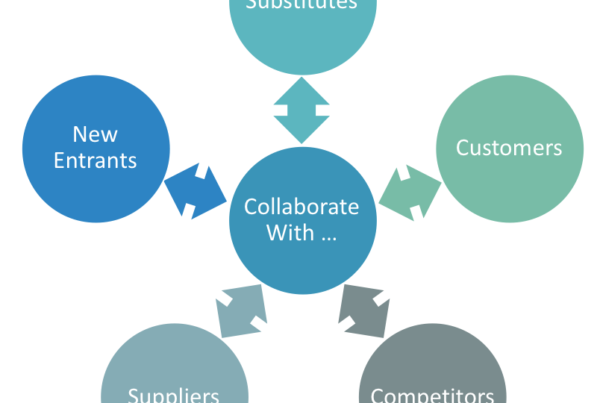 Sawhney suggested that the implication of widespread connectivity is a greater need for collaboration with customers and business partners because most value creation is now outsourced. He proposed that companies must integrate customers into an entire set of end-to-end processes from ideation to support. Sawhney also noted that technology is enabling customers to move toward “do-it-yourself’ marketing. If they choose to, customers can disintermediate marketers from the marketing process; they can self-inform, self-evaluate, self-segment, self-price, self-support, self-organize, self-advertise, self-police, and self-program. Make marketing a true profession. Today, anyone can go into business as a marketer. 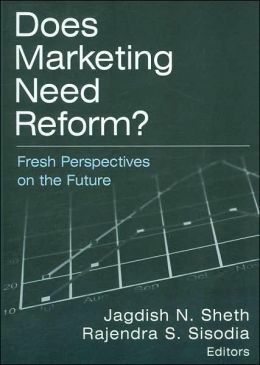 To strengthen marketing as a profession, Sheth suggested requiring certification and recertification of marketing practitioners, similar to the accounting and medical professions. He also suggested the establishment of a National Academy of Marketing, similar in reputation and mandate to the National Academy of Science. Revitalize marketing within the organization. Srivastava noted that marketers have historically focused on sales-related measures, such as market share, but have largely ignored profitability and shareholder value. Marketing must do a better job managing its resources and demonstrating the value of investing in marketing programs. The role of marketing in achieving price and stock appreciation is beginning to be understood, but other effects also need to be measured. For example, a strong brand confers greater clout in terms of dealing with distributors and can lead to the ability to negotiate lower distribution costs. Sheth suggested that instead of being managed as a line function, marketing should be designated as a corporate staff function (similar to finance, information technology, legal issues, and human resource management), with both capital and operating budgets. Marketing’s domain should include branding, key account management, and business development. The head of corporate marketing should report directly to the CEO, and a standing committee of the board should be formed to oversee the company’s marketing activities. Use new terminology. Reflecting a growing trend, Southwest Airlines has named its department of marketing the “customer department” and its human resources department the “people department.” Sheth suggested that the word “marketing” has lost so much credibility that companies would be better off using the designation of chief customer officer rather than CMO. Many have come to believe that the term “consumer” objectifies customers and creates a one-dimensional image in the minds of marketers. Kotler suggested that using this term creates the image of customers with their mouths open, waiting to be filled by marketers. Instead, he pro-posed the term “prosumers,” which acknowledges that customers participate in the creation of value. Learn from other disciplines. Several speakers commented on the continuing need for marketing to learn from other disciplines. Wind suggested that marketing is becoming too self-centered and isolated now that it has matured as a discipline. Likewise, Sawhney commented that marketing began as an eclectic discipline but has become increasingly insular and has come to view itself falsely as self-contained. He proposed that marketing transcend its narrow horizons and begin learning again from neighboring disciplines. Reform marketing academia. Several speakers spoke of the responsibilities of marketing academics in restoring marketing to a position of respect in companies and in society. A recurring theme was the need for greater relevance in academic research. Webster suggested that there has been an increased emphasis on rigor versus practical relevance. Academic research must become more relevant without sacrificing rigor. He added that it is critically important that research become more idea driven, not just data driven. Sheth suggested that academic research should focus on newsworthy domains and discoveries, similar to medicine and engineering. Grover recommended that marketing be taught as an art and a science (analogous to cooking) because the creative dimension will always be crucial to good marketing. As the world becomes increasingly market driven and globally competitive, marketing is becoming marginalized at a time when it is most needed. Unfortunately, the “side effects” of marketing today often overwhelm its intended main effects. Can marketing’s reputation be redeemed? Not unless it resolves the fundamental contradiction at its core: Marketing claims to be about representing the customer to the company, but it remains mostly about representing the company to the customer, using every trick in its bag to make customers behave in the company’s best interests. Speakers at the symposium were unanimous in asserting that “marketing as usual” is not working anymore and that fundamentally new thinking is necessary to rejuvenate this vital and potentially most noble of business functions. Done right, marketing is truly an enlightened undertaking. As Phil Kotler and Bill Wilkie reminded the attendees, marketing has made major contributions to raising standards of living around the world. It has played a role in creating markets for products that reduced drudgery, increased convenience, and enriched life in general in the twentieth century. Previous PostMorgan Stanley: After Mutiny, Redemption?